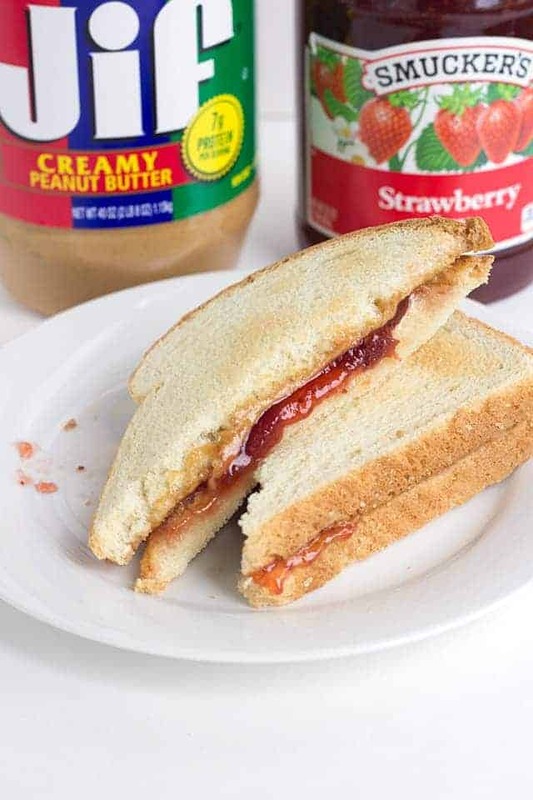 This toasted peanut butter and jelly sandwich makes the perfect lunch for kids. It’s a great sandwich to send to school and the toasted bread helps prevent a soggy sandwich. Plus, you get to add a little butter to the toast and everyone loves butter! Lucian has actually been done with school for a couple of weeks and has just started a recreational program at the school. He goes to the pool 3 days out of the week which he loves but it must work every ounce of food off of him. By lunchtime, he is starving and needs something with sustenance. These Toasted Peanut Butter and Jelly Sandwiches seriously powers his day. A big bottle of water helps too. They’re giving him swimming lessons at the pool which I’m pumped about. He has a 3 piece floatie set that allows him to swim on his own, so he tells everyone that he can swim. I had to drill it into his brain that he can’t tell the teachers that he knows how to swim because he won’t have his floatie device. Talk about super paranoid that he would strut into the pool super confident and refuse swimming lessons because he already knows how. I’ve noticed that everyone makes their peanut butter and jelly sandwiches just a little different. Whether it’s cut diagonal or in half, it’s crustless, toasted, or just has extra peanut butter on it, everyone likes them just a little different. 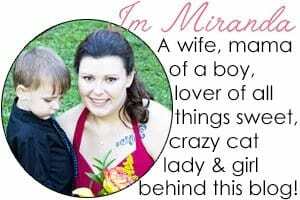 I remember the first time my husband cut a sandwich and I nearly had a meltdown. Bear with me, I was only 18 at the time. He cut his right down the center rather than diagonal. Who does that? Okay, probably most people. I tend to make my sandwiches two different ways depending on if we’re going to be eating them right away or packing them for a school lunch. 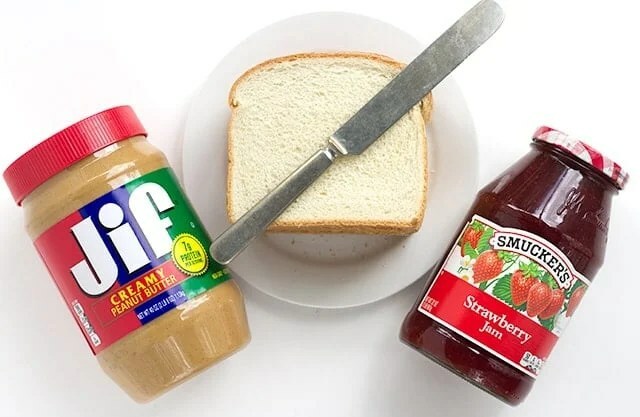 Today I’m sharing the school lunch version that I make for Lucian where I lightly toast the bread, add a little bit of butter like you would on toast, and then a decent amount of Jif® Creamy Peanut Butter Peanut Butter and Smucker’s® Strawberry Jam. Call me crazy, but toasting the bread seems to really help prevent the jam from seeping through the bread. I should make a grilled PB and J at some point to share. Those are highly addictive. I almost ordered one at a food truck this last weekend, but I stayed strong. Besides, I was on a mission to walk the town of yard sales and get a few good deals. I did walk the town, but the deals were pretty sparse. So about this toasted bread, it will soften up some while it’s sitting in the sandwich bag which is perfect for our little guy. He would probably protest a hard, crunchy sandwich, but I think most kids would. He’s so much like his dad when it comes to food. Me, on the other hand, I will eat just about anything except for seafood. I don’t really like seafood unless it’s deep fried and with tartar sauce or cocktail sauce. Every time we walk down the aisles of Walmart, I debate on grabbing the Jif® Crunchy Peanut Butter rather than the creamy. The only thing that stops me is that I know I would be the only one to eat it which I can do no problem, but I feel guilty getting a jar just for myself. I could probably just incorporate it into a recipe so I felt less guilty about it. So if you see crunchy peanut butter recipes popping up, you’ll know I took the plunge. 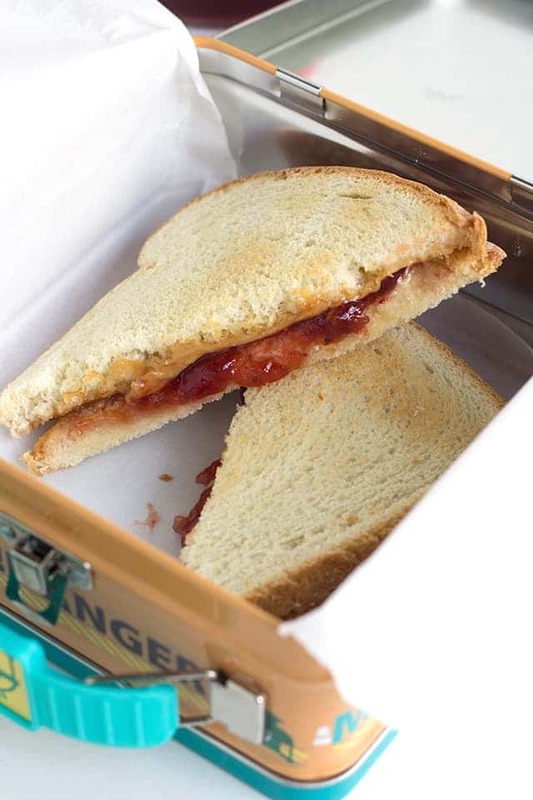 These Toasted Peanut Butter and Jelly Sandwiches are the perfect school lunch! 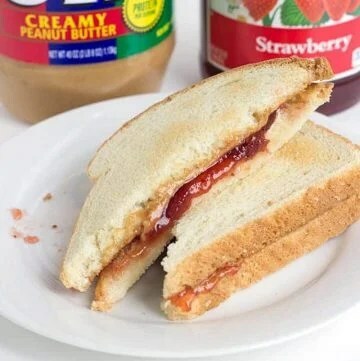 The bread is lightly toasted, buttered, and smeared with a liberal amount of creamy peanut butter and strawberry jam. Set the toaster to a light toasting setting and toast just until the bread begins to turn golden brown. Immediately butter one side of each of the pieces of toast. After letting the butter melt into the bread for about 1 minute. Add a generouus amount of peanut butter on the buttered side of one of the slices of toast. Add the jam on the buttered side of the remaining slice of the toast. Sandwich together and cut to your liking. Place in a sandwich bag for lunch.